Hello everyone!!! Welcome to Day Two of the Taylored Expressions August Sneak Peeks!!! 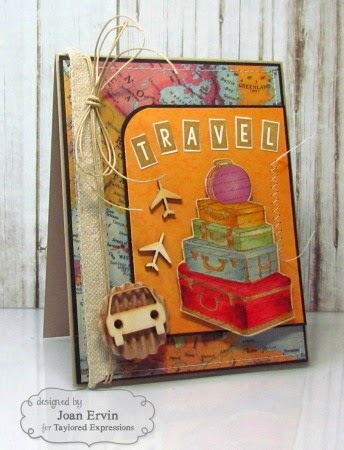 Didn't you just love all the wonderful stamp sets and dies you saw yesterday!!! We have more awesome goodies to show you today.....and remember....the August release goes live Thursday, August 7 at 7:00 AM PST!! My first project features three of the new Taylored Expressions dies....the Little Bits Picnic Basket, the Little Bits Ants, and the new Apple Stacklets. . The picnic basket was cut out of Choice Kraft card stock with the TE Little Bits Picnic Basket die and brown ink was sponged around the edges. A piece of gingham dp was added to look like a napkin and the apples were cut with the smallest Apple Stacklets die. The black ants were created with the Little Bits Ant die and the Taylored Expressions previously released Grass Border was used for the grass. The clouds were created with the previously released TE Cloud Duo dies and the sun was punched with a circle punch. The sentiment is from the new Taylored Expressions Talk Nerdy To Me stamp set and the twine and sewing are the finishing touchs. 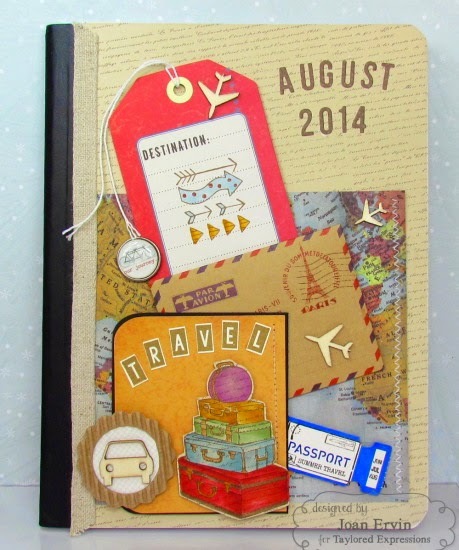 My second project is a travel gift set for a friend who will be traveling to Paris this month. Stamps from the new Taylored Expressions In Other Words - Travel stamp set were used along with stamps from the new TE Every Wich Way stamp set and the new TE Mini Caps Alpha Dies. the wooden pieces, corrugated cardboard, hemp cording, burlap ribbon, ticket, and envelope finish off the journal and the card. 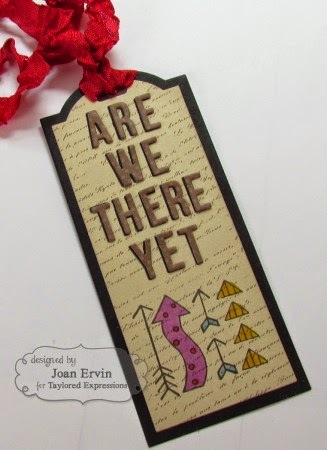 The bookmark was created with the previously released TE Banner Stacklets 2, the Every Which Way stamps, and the Mini Caps Alpha dies. Copics were used to color the arrow image and wrinkled seam binding finishes it off. I sure hope she likes her gift!!! How about a little inspiration from the Baker's Dozen DT...they have created some awesome projects for you today!!!!!! Thanks for joining us for today....come back tomorrow for more awesome Taylored Expressions August sneak peeks!!!! So cute Joan!! !I love those ants!! Awesome travel set! That picnic card is adorable! Cute, cute, cute. I love the picnic basket card. Summer is here! Very impressive cards. All the elements masterfully done. I love it when designers go the extra mile on their designs. It really helps us see the possibilities. Love the big picnic ants Joan! 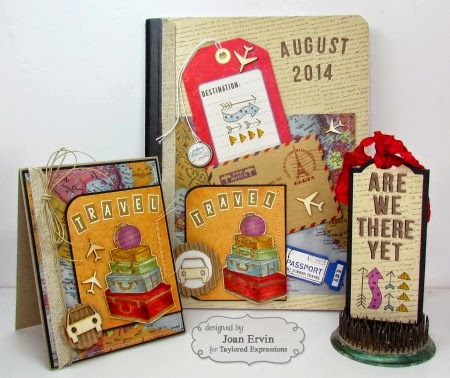 great proects for these fun new products! 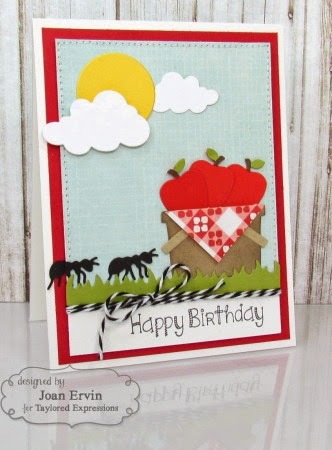 Each creation is fabulous and outstanding but I especially love the super cute card and the adorable ants! Wonderful job creating Joan! 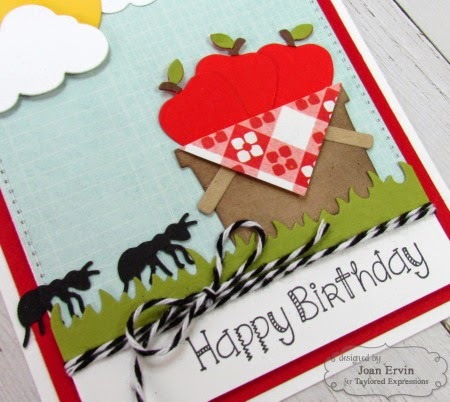 ok those ants are too cute.. what fun projects.. thanks for the inspiration. Super cute!!! Love the ants! wonderful stamp sets and a wonderful job on both cards. Love the ants. TFS. More fabulous sneak peeks. Love the way you colored the suitcases.